Can music save your life in Bel Canto? Yesterday was ANZAC day. The day that Australia and New Zealand celebrate, or is it mourn, the people of their armed forces that have given their lives in the pursuit of democracy. 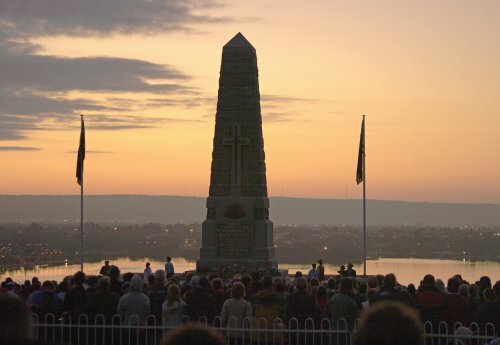 It was originally set up to commemorate the men who gave their lives at Gallipoli but today it remembers all the men and women who have given their lives for “king and country” since then. The remembrance is one of the rare occasions that two countries share the same remembrance on the same day but also referring to two different countries in the name. Australia and New Zealand. The remembrance day was officially named ANZAC day under a year after the ill-fated Gallipoli landing on April 30, 1915 and in 1920 it was designated a public holiday in New Zealand and then in 1921 in Australia. Almost 100 years since the landings in Gallipoli the sadness remains. Not only for the Australian and New-Zealanders who gave their lives on a foreign beach almost half way around the world but for all the men of the British Empire who fought in that conflict. It is the day, apart from Remembrance Day that the two countries remember their own dead as well as those who survived the horrors of that war and subsequent ones. It was something for, at the time, two new nations to send so many men to war that was so far away from home because their monarch asked them to. The Gallipoli campaign also made the national identity of the new new nations. For the British, you can think of it as Remembrance Sunday but just for the two countries. The commemorations follow a similar pattern but instead of being held at 11am, it is held at dawn. A Day held as the most solemn of the year for the countries. It is the only day that the traditional Australian gambling game of two-up is legally allowed to be played for money outside of licensed, gambling, venues. This is because it was the game that ANZAC troops played.